Asda has been retailing fuel since 1967, a mere two years after Asda itself was formed. 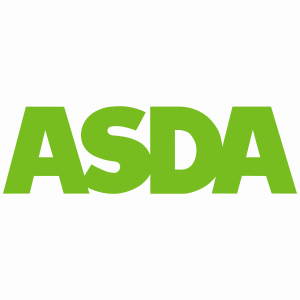 The name Asda is a combination of Peter Asquith and Associated Dairies. The two companies formed together on the 3rd May 1965. The Asda petrol station in Halifax was the first ever discount petrol station, and the fuel had to be supplied by a little known Russian oil company NAFTA as no major fuel retailer would provide cheap fuel. While this original station burnt down in 1982, the idea of discounted fuel remains. Later on, suppliers such as Mobil, Shell and Texaco supplied Asda with fuel, but since the early 1990s Asda, like many other supermarket fuel retailers, have supplied their own fuel, delivered by their own tankers. Asda started out with forecourts inside its car parks, but in 2012 they made the bold move to trial a standalone station which were based in Sale, Greater Manchester and another near their head office in Leeds Bridge. The Asda brand is popular for being one of the cheapest for fuel and is often in the news for starting the price war between supermarket fuel providers – by being the first to cut their prices. The Asda price promise ties in with their slogan “Save Money. Live Better.” They promise that they will always be the cheapest place to fill up within a three mile radius of an Asda petrol station. As a part of this they also are often the first to start a supermarket price war and lower their petrol prices. 39% of the total supermarket charging points. As of November 2017, Asda had 222 charging points with 432 connectors. EV drivers are able to charge at approximately 19% of Asda locations.